Garmentory is the leading eCommerce marketplace dedicated to independent boutiques and emerging fashion designers that provides consumers with a new and curated shopping experience. Independently owned boutiques, with small teams and limited technology resources, have largely been left behind in the age of e-commerce. While Farfetch caters to the affluent online luxury boutique shopper, and has raised $300 million dollars in funding to do so, the younger, entry-level luxury shopper is largely left out of Farfetch’s exclusive price points. Founded in 2014 by Seattle-based product engineer Sunil Gowda and Vancouver-based boutique fashion entrepreneur Adele Tetangco, Garmentory began with a mission to support the #shopsmall movement and the people behind it. 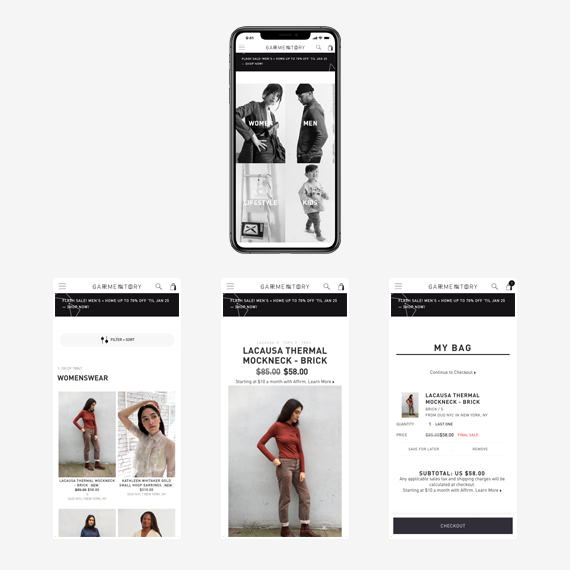 Today, they offer the leading edge of digital commerce to 400+ boutiques and designers shaping the future of young luxury and contemporary fashion. Garmentory made an early attempt to differentiate through not just price, but how people purchased items. When it launched, Garmentory’s merchandise was sold through a “make an offer” system, where customers would make offers on items directly to boutique owners in order to snag a last-chance dress or blouse. The boutique could then reject or accept the offer; Garmentory, for its part, listed the original price, as well as the suggested price which helped sidestep deep discounting. The option to make an offer is still available through some boutiques, but most items are now sold through fixed pricing. Instead, Garmentory has focused on recruiting a mix of boutiques and designers that can’t be purchased elsewhere. According to Tetangco, Garmentory now accounts for more than 50 percent of its partner boutiques’ online orders. 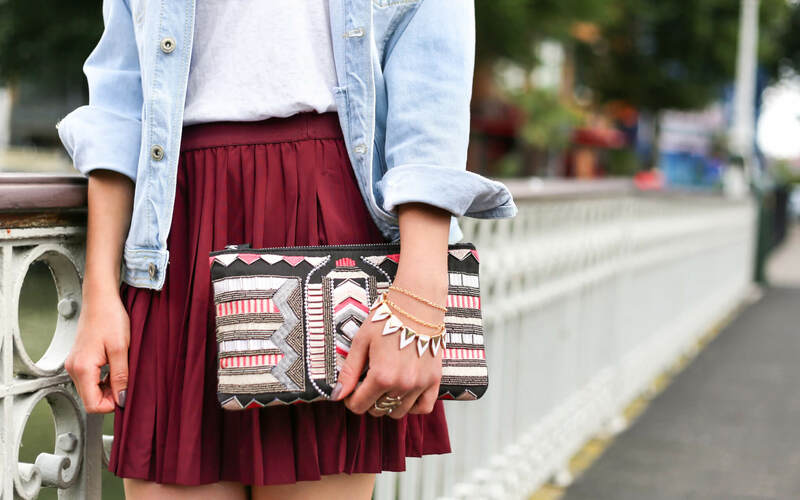 Garmentory is an eCommerce startup, which connects customers with local and independent boutiques around the world. It is an extensively customized Ruby on Rails, Spree-based application. “The conversions from ‘Make An Offer’ were tricky because if a store didn’t accept an offer, then there wasn’t a conversion. And selling full-price was a way to get more inventory on the site because the sale items were so limited,” – Adele Tetangco. 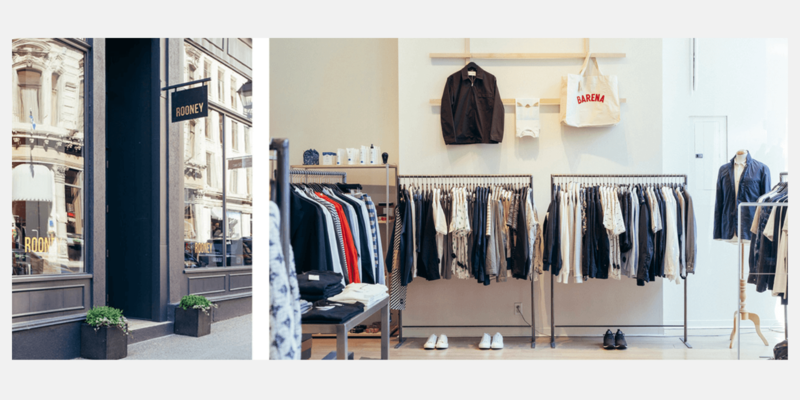 Because of Gowda’s tech experience and the flexibility of Spree Commerce, it was easy to pull and integrate an entire store’s stock onto Garmentory’s site. As a result, there was more of a selection for customers to choose from, while stores and designers had more of an opportunity to make a profit. From that business decision alone, “everything just took off,” according to Tetangco. 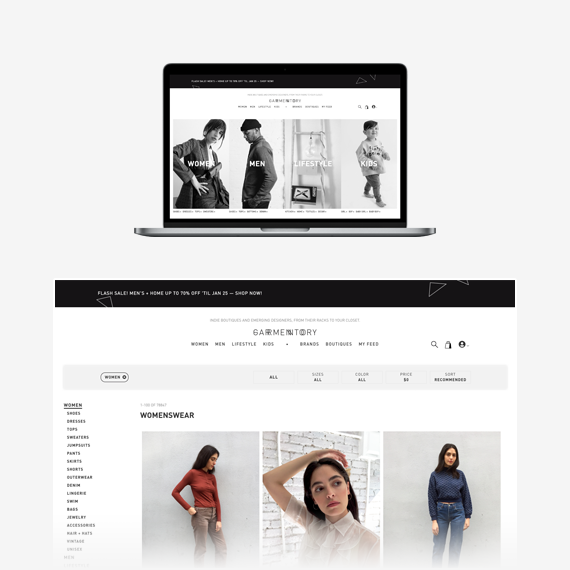 Garmentory chose Spree for their online marketplace that connects boutiques and designers with customers. This proved to be a good choice due to the flexibility and scalability of the open source solution, which withstood the startup’s exponential growth since its launch in 2014. Garmentory’s partnerships have grown from 25 to more than 400 small boutiques and young designers, spanning all over the world from North America to Russia, Tel Aviv and Dubai. On the consumer end, traffic to the site has skyrocketed by 3,000 percent and Garmentory’s customer base has expanded by 300 percent year over year.